Cotton Shop 1611 Estero Blvd. One of the oldest structures and landmarks on the Island today is just beyond the newly named Crescent Beach Family Park, on the Gulf side of Estero Blvd. and Crescent St. It was first constructed in 1933 by C.I. 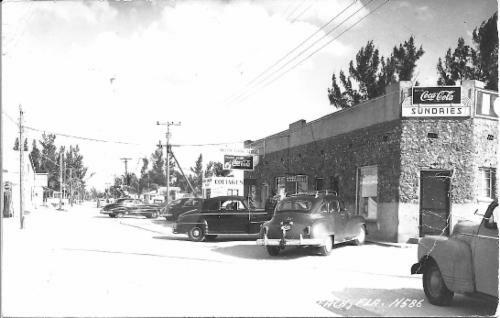 Yent as a wooden structure known as the , "Pelican Building", which operated as a grocery store. It became an up to date grocery and market, which was also known as a "juke joint" and drug store, with soda fountain and liquor martinis. The property was traded in 1938 to Harry Steel when he replaced the building with a concrete, coquina rock facade as seen above. It remained as a grocery store and later served as a bakery, photography shop and post office for many years. Later it was run as a dry goods emporium and best remembered as the popular "Cotton Shop" with bolts of fabrics and materials for quilting, threads, buttons, zippers and wool for knitting. During WWII no gas was available for a trip to Fort Myers, so it became the place on the Island to find just what was needed for curtains, sheets and clothing. It was a haven to many of the island women to gather and discuss fashion. It remained for years as just the "Cotton Shop", withstanding storms and hurricanes, remarkably surviving Hurricane Donna in 1960. With the new south bridge at the end of the island being built in 1965 and the beginning of condominiums in the 1980's, the population more than doubled. 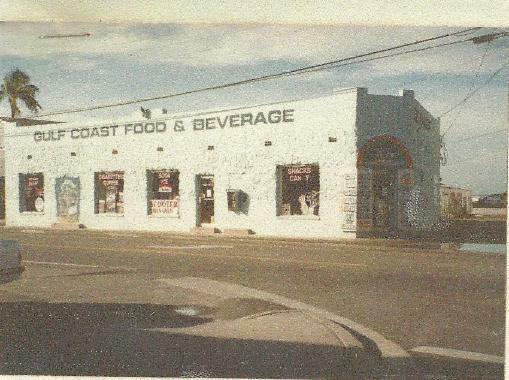 The cotton shop adjusted to the needs of the public, reverting back to a food and beverage store with snacks, coffee, beer, ice and cigarettes and even scooter rentals for visitors exploring the island from north to south, or beyond, as seen above in 1987. Today, as one of the island's oldest landmarks, it remains as several individual shops within the same building, on the original site for over 80 years. As times change, so do the shop names.